Explore Europe together with a new 4K nature documentary from beautifulwashington.com and proartinc.net in the top 4K/Ultra HD quality! 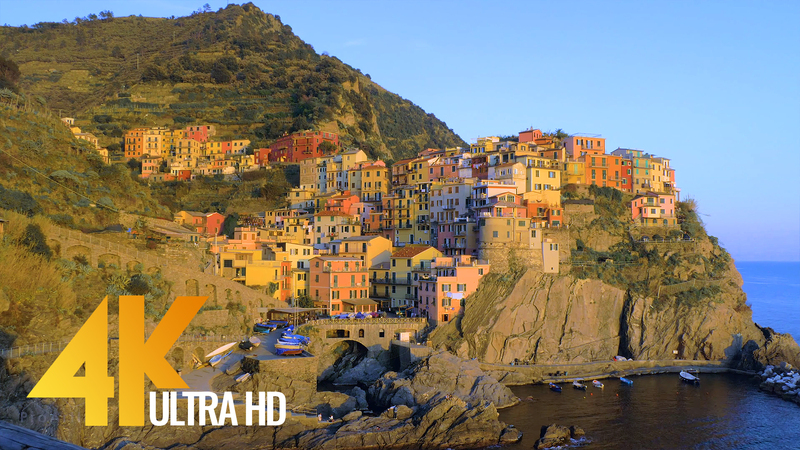 Meet the 4th episode of a wonderful 4K Documentary Fabulous Italy. Explore an isolated 6-mile stretch of the most captivating part of the Italian Riviera – the Cinque Terre. Five small towns have gathered together on a rugged cliffs, these towns combine Italian culture, spirit and nature. Cinque Terre is home for about 4,000 residents, but it attracts almost 2.5 million tourists every year. The main attractions of the area are the towns itself and the rugged landscapes of the park.